Nestled half way between Yellowstone and Glacier National Parks sits the Gates of the Mountains. 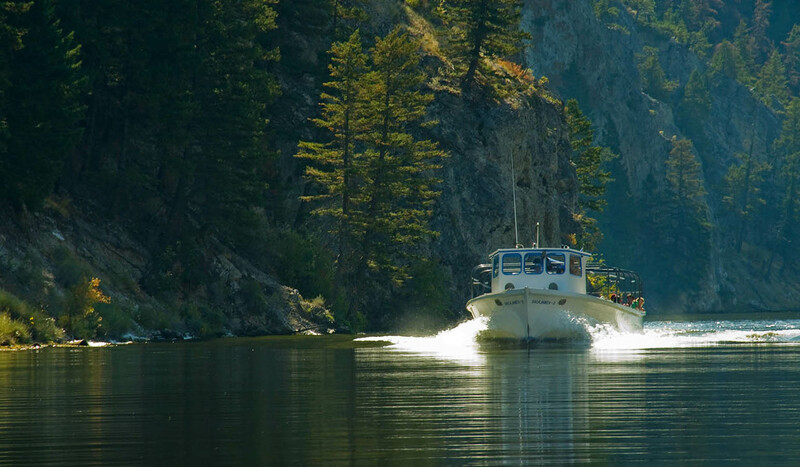 Located 20 miles north of Helena we are one of Montana’s not to miss destinations. 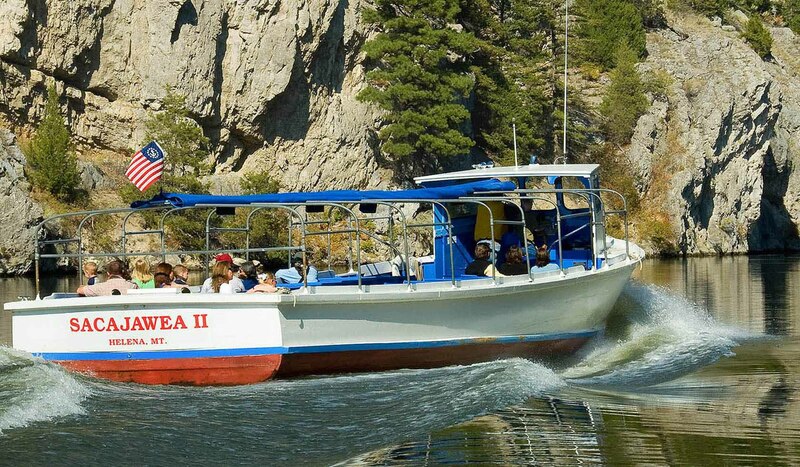 The 120-minute boat cruise starts at our Marina, just 3 miles off Interstate 15 in the foothills of the Rocky Mountains between Helena and Great Falls, Montana. Aboard a comfortable open-air boat (covered in case of rain), you’ll glide through magnificent country Meriwether Lewis would still recognize if he could return. 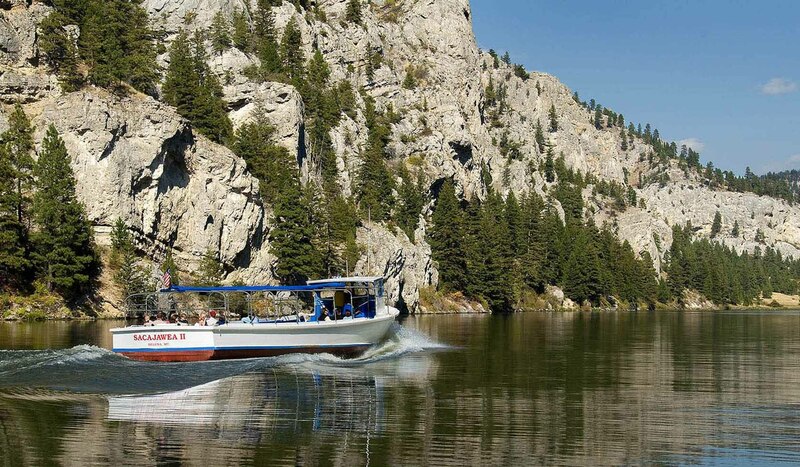 The tour’s main attraction is the inexhaustible scenery – wooded slopes, rugged rock formations, and the placid beauty of the timeless Missouri. For over 125 years guests have been following in the path of Lewis and Clark exploring the “Gates of the Mountains”. Today the operation includes a Marina with 150 private docks, a public boat ramp, and tour boats that allow around 30,000 visitors a year to explore what Meriwether Lewis saw over 200 years before. To find Gates of the Mountains from Helena, drive 20 miles north on Interstate 15 and take the Gates of the Mountains exit, Exit 209. Proceed 2.8 miles to Upper Holter Lake. There is a public boat launch here, in addition to the private boat tours. There are also numerous fishing access sites with boat launches along the entire Missouri River corridor.